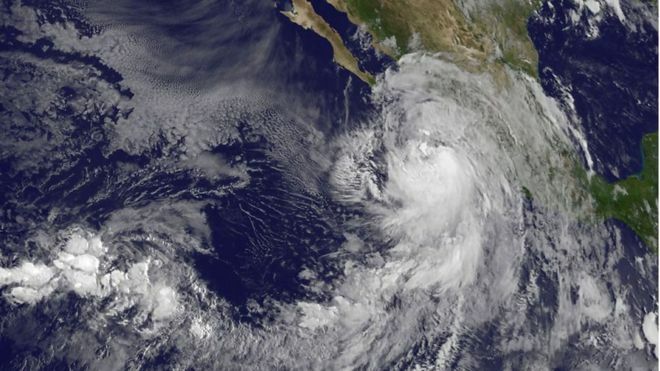 A huge storm bearing down on the Pacific coast of Mexico, has strengthened to a hurricane just hours before it is due to make landfall. Hurricane Newton is heading north-west towards the southern end of the Baja California peninsula with winds of about 75mph (120 km/h). The US National Hurricane Center (NHC) said Newton could trigger flash floods. It warned that preparations to protect life and property "should be rushed to completion". 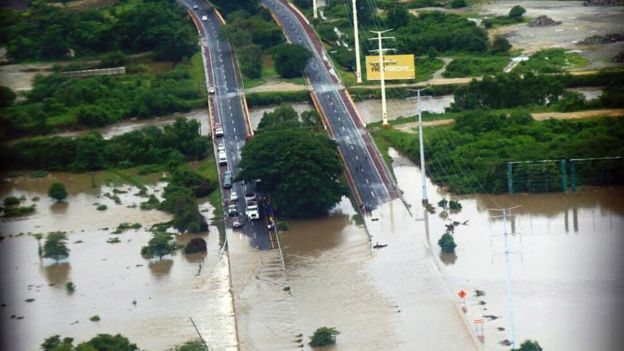 The same weather system lashed areas of the south-western state of Guerrero over the weekend before strengthening to a tropical storm. Torrential rain that began on Saturday caused more than 30 mudslides across the state, forcing main roads to close. In the resort of Acapulco, floods and landslides affected dozens of homes and schools and about 200 people had to be rescued from a housing complex. Newton reached hurricane strength over the Pacific on Monday, prompting the Mexican government to issue a hurricane warning for the west coast of Baja California Sur from north of Puerto Cortes to Cabo San Lazaro. 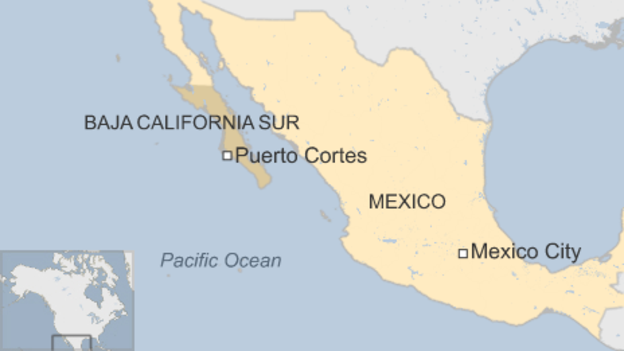 The NHC said that at 15:00 local time (21:00 GMT), the eye of the hurricane was about 215 miles (350km) south-east of Cabo San Lucas and grinding towards the coast at about 16mph (26km/h). It said that on its current path, Newton should be near or over the southern end of the peninsula on Tuesday morning. 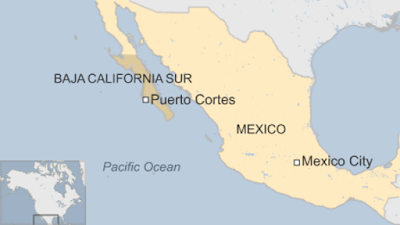 It said it would move across the peninsula and reach north-western Mexico early on Wednesday. Over the weekend, the US state of Florida was battered by Hurricane Hermine, before it weakened to a post-tropical storm and drifted off the US east coast.